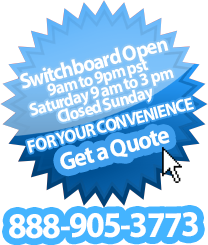 Unlike our Competitors that use a single point lock Patio Door Factory only uses a very secure Multi Point Locking system. 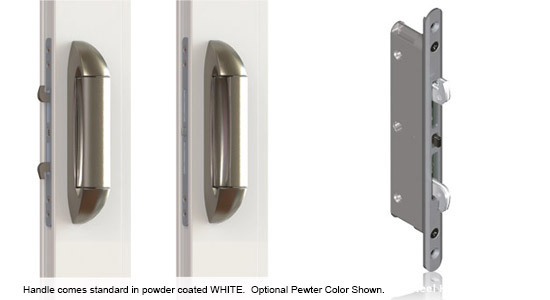 Featuring our state-of-the-art ONE-MOTION®operation, the patented INTUITION sliding door handle offers the ultimate in comfort and convenience for the homeowner. The ergonomic ONE-MOTION operation allows the homeowner to unlock and open the door in a single fluid motion; in reverse, the door closes and locks in the same single fluid motion. Using a modern design that eliminates the lever, the handle does not protrude into the glass area, enhancing the sight-lines of any sliding door. Comes Standard in WHITE. Available in pewter for and additional charge.